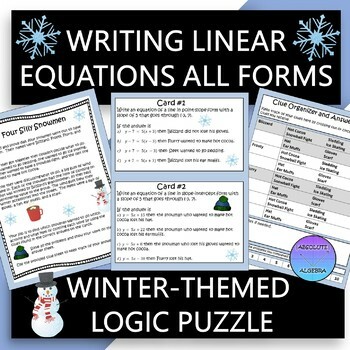 Engage your students with this winter-themed logic puzzle. 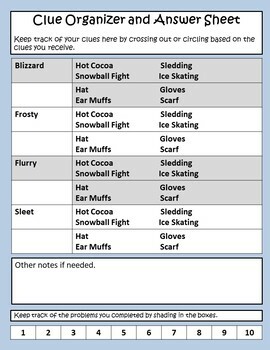 Your class will get lots of practice writing equations of lines in point-slope form, slope-intercept form, and standard form. Students start on any card and find the answer. 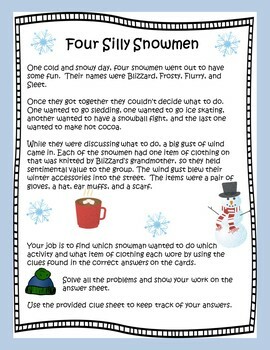 Then they use the corresponding clues to solve the logic puzzle. 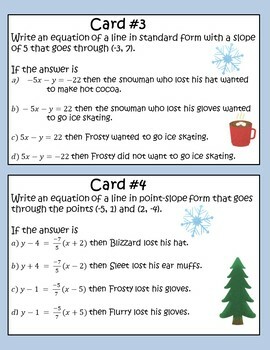 Here are some other Algebra I activities you may like!